1. 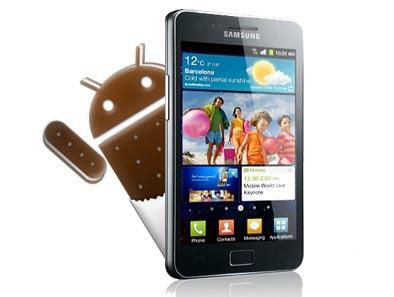 Required International Samsung Galaxy S2 GT-I9100 device. Please don’t follow this guide if your device is another model Galaxy S2 GT-I9100G. 2. In this method you have to backup some precious data such as Contacts, SMS, Call Logs, Images, Videos, Songs, MMS and APN Settings, etc. 3. Then, make sure Galaxy S II battery is charged to 80% so it won’t switch off during the process. 5. Disable all security suites such as firewall or antivirus package must be disabled before you start updating your Galaxy S2 through this process as they can cause interruption in the flashing process. 6. Download USB drivers for all Samsung Galaxy Devices from 32-bit here and 64-bit. If you already installed compatible device drivers in your PC through Samsung Kies. Then you can skip this step. If you didn’t installed the drivers then your device will not recognize by the PC at the time of Odin flashing. 1. Download the XXLPM Firmware zip. 2. After downloading the zip file. Extract it by using either winzip or winrar. 3. Download Odin 1.85 flash tool and extract the zip file. 4. Open the extracted zip file and launch Odin application in the PC. 5. Then, turn off your Galaxy device and reboot it to enter into download mode just by holding the Volume Down + Home + Power buttons simultaneously till you see a warning message on your screen. Then, press the Volume up button to get into download mode. 6. When you will be in your download mode, connect your device to the Computer via USB data cable. As soon as the device is connected, the Odin will automatically recognize you device, which can be verified by the ID: COM section which turn yellow if device driver is installed correctly and it detect the device. 7. Then, go for PDA tab and select the I9100XWLPM_I9100OXELP8_I9100XXLQ6_HOME.tar.md5 file from the extracted folder in step 2. 8. You are requested not to make any changes other than PDA section. Once you are confirm about that go and click on Start button for starting the update process. After the completion of the installation process, you device will reboot automatically and display a PASS Green message. 9. Then, disconnect your device from the Computer and reboot it in recovery mode. For that you must press and hold Home + Volume Up + Power keys together. 10. After getting into the stock recovery mode, you need to clear the data by choosing ‘wipe data/factory reset’, this you can confirm by tapping ‘Yes’ on the next screen. 11. Then, select the ‘+++Go Back+++’ > ‘Reboot System Now’ option to restart your Galaxy S II. Note: If your Odin hangs in any step or it display the FAIL message then you need to unplug your device from the Computer and take out the battery and place it back to its previous position, close the Odin and repeat the process again from step 4.